SUZUKI’S turbo-charged Recursion looks closer to becoming a production model, with a recent patent showing the concept refined into a working design. The 588cc Recursion is clearly recognisable in the sketches but changes including a new air intake point to an ambition to make it more than a showpiece. The parallel-twin Recursion was first unveiled in Tokyo in 2013, where Suzuki said it would make 100hp and 74lbft. 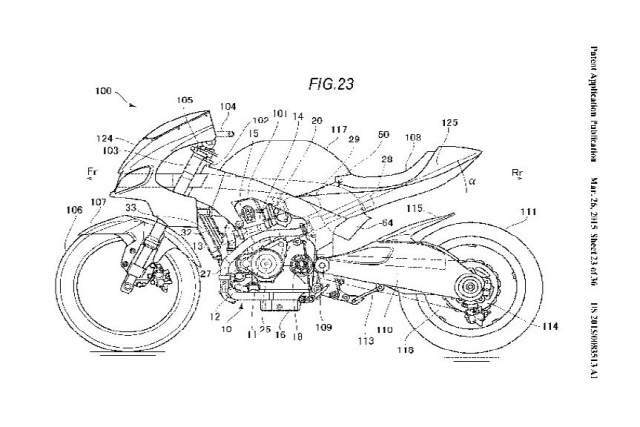 Where the show bike has a central headlight, the patent features two side-by-side, with an intake in the middle feeding air to an intercooler. The refinements would not be necessary if Suzuki only intended the concept to continue doing the rounds at major bike shows.